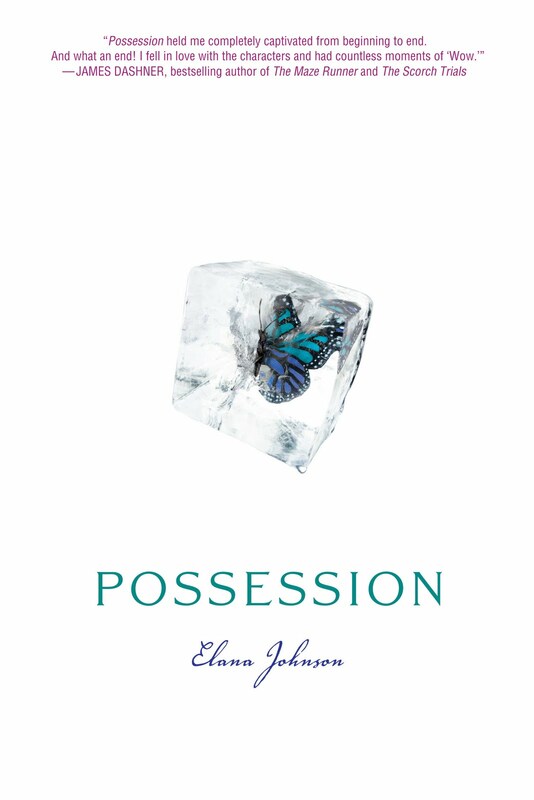 Beth Revis: Blog Tour: Elana Johnson's POSSESSION! I first met Elana online soon after I started blogging--I mean, everyone knew the Query Ninja, amirite? Over the years I got to know Elana better--and even got to meet her in person!--and can honestly say she's one of my favoritest people. Which is why I'm thrilled that her book's about to come out! Elana is the author of the dystopian POSSESSION, and today I've cornered her with some questions about her book, her writing, and more! We can read all about your fascinating life from the bio in the jacket flap of your book or on your webpage. So, what's a completely random fact about you that most people don't know? I am scared of all animals that have more legs than I do, all ducks and geese, every species of snake, and some hummingbirds. As a kid, what was your favorite book? Have your tastes changed since growing up? My favorite reads were The Babysitter’s Club series. I’d like to think I’ve matured since then, though I still don’t read grown-up novels. POSSESSION is a dystopian novel—could you tell us a little bit about why the genre appealed to you? Dystopia blows my mind, because it’s possibilities are endless! If you can dream it, you can make it into a futuristic society. And I love that there’s a place for my twisted imagination to run wild. It's the inevitable question: could you tell us a little about POSSESSION and what inspired it? POSSESSION is an angry-girl novel set in the future, with some sweet tech gadgets and a sprinkling of paranormal abilities. The novel was inspired by the question: “What would life look like without free will?” And, of course, the emotional angst I poured into it. There’s always that, too. POSSESSION starts in medias res, throwing us right in the action. Can you give us a little more detail about what Vi's world is like and how it got that way? The reason Vi doesn’t like her world is because it’s not a very nice place to live. All citizens are required to clip-in to transmissions each night. They’re told who to marry, what jobs to have, what foods to eat, what clothes to wear. They’re brainwashed, devoid of personality and unable to make their own choices. Thinkers do all the thinking, so regular people won’t have to. Our world evolved into the world in POSSESSION through paranormal means. I know, I know. I just can’t decide what I’m writing. Paranormal? Yes. Science fiction? Yes. Dystopian? Yes. Hey, it’s a trifecta of awesome! I'm going to be extraordinarily selfish and ask this question for me: did you always plan to end the novel in the way that you did? Don’t feel bad! They people from MTV.com and Publisher’s Weekly asked me this in New York City, too. The answer is yes, this is exactly how the novel has always ended. When I drafted it, and it came out this way, I sat back and thought, “Wow. That’s perfect.” And it’s been that way ever since. I’m just glad I found an agent and an editor who loved the ending as much as I did (because, believe me, I queried many an agent who didn’t). Can you tell us a little bit about the process—particularly the timeline—of writing POSSESSION? I’m a discovery writer, so I drafted POSSESSION in only 17 days in April of 2008. After that, I left it alone while I continued to draft my fingers off. See, at the time I didn’t particularly know how to get a book ready for publication. But I knew how to type. So I wrote a lot of other books. Seven more, to be exact. It was now December 2008, and my first novel had failed mightily in the query trenches. So I was looking back over my other projects, trying to decide which one to fix up enough to query. I chose POSSESSION. I revised and rewrote, and revised and rewrote. I sent it to betas. They seemed excited, and I got excited. I perfected my query and put on my bullet-proof vest. I started querying in late April 2009. I got a lot of requests. But no one leapt out of their slippers to offer. I queried through the summer of 2009. I talked to three agents on the phone—they all wanted revisions. I did revisions two separate times, each time making the book stronger and stronger. Finally, in November 2009, Michelle Andelman offered, and I accepted. After a couple more rounds of revision, we went out to editors in February 2010. The book sold very quickly, and I’ve been on the roller coaster of lifetime since then. If your reader could only take away one emotion, theme, or idea from POSSESSION, what would you want it to be? Oooh, brain bender. Whenever I read POSSESSION, I contemplate my own beliefs and why I believe the way I do. Am I making my own decisions? Or is someone else influencing me? If so, who? I think the most surprising thing I’ve learned deals with the huge wide world of social media. I often think to myself that I would never be on twitter, or Facebook, or operate a blog if I wasn’t a writer. I wouldn’t even know those things exist. So it’s surprising that I like them as much as I do. Beyond the typical—never give up, believe in yourself—what would be the single best advice you'd like to give another writer? Allow yourself to write badly, so you can figure out how you write best. What do you think are your strongest and weakest points in writing? I think I’m pretty good at voice. My characters seem to have a mind of their own, and I just make sure it sounds right on the page. I’m horrific at setting. It’s something I’m working on, and that my crit partners are always harping on me about. Thanks for stopping by today, Elana! I like the idea of this book having all my favorite genres wrapped up in one story! As long as they all harmonize together, it can be awesome. I want to read POSSESSION so bad! It sounds really good. Thank you Beth for your interview! 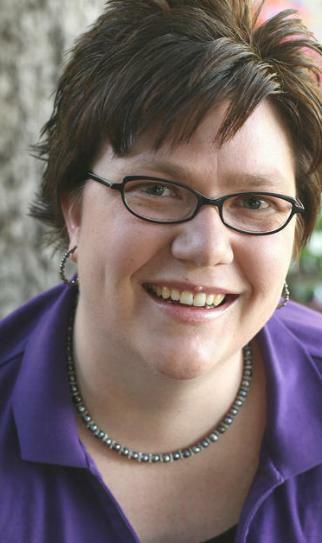 "Allow yourself to write badly, so that you can figure out how you write best." Just what I needed to read today. Elana, you rock! I wish you much success on your debut novel! Great interview Elana and Beth. I agree Elana, voice comes easy to you. I'm jealous. It's interesting to read your query process. It was awesome watching how you got an agent and sold your book so quickly. Excited for your debut day. Yay! Thanks for sharing your book Possession with us! This was a great interview and the book sounds really good. I will be watching for it! I grew up on the Babysitter's Club too! I want to first tell you how much I loved Possession and the ending, not because that's how I wanted things to work out for Vi but because its an awesome setup for book 2. Your journey and success is such an inspiration to all of us writers who are still chugging away with our self-doubts and all. Ah, the infamous ending. I love it. And I love Elana for having the courage to make it that way. Awesome interview, thanks Beth and Elana! What a lovely interview. I've been following Elena since I joined the bloggy world, which has been over a year. And I can't wait for POSSESSION. Great interview. Love this thought: "Allow yourself to write badly, so you can figure out how you write best." And, I think it's pretty amazing that you wrote the first draft in 17 days!! Just finished Possession last night! I highly recommend it and can't wait to post my review in a few days. Great interview! Beth, you need to be a profesh interviewer...love all of the questions! Awesome interview!! I loved your approach, Beth. And I loved Elana's answers! It just floors me that she hammered out her first draft in 17 days. I can only wish... can't wait to read it!! Awesome interview. Thanks Beth and Elana. Super interview! You'll probably both be disappointed that what I'm taking away from this is... "17 days! Holy crap!" I know, I know. I should try to be deeper, right? Wow! Great interview! It's facinating to learn about an author's proccess. 17 days?? Geesh! I'm excited to read it! Dystopia, paranormal and scifi...SOLD! Thanks for the terrific interview with Elana. It's so nice to hear about the process of POSSESSION. I LOVE your advice to us to write badly. I think we all do in the beginning. What's great is we can only improve as time goes by. CP and Betas are a wonderful way to polish. My first novel went through about six different people and about fifty or more re-writes. I querying it now. EEEK! ELANA GOOD LUCK! We are all behind you! I also get harped about setting. And I loved the Babysitter's Club too! I will never be bored of the fabulous Elana Johnson. I'm so excited for Possession. It's the one I've looked most forward to this year and it's even more special because she's such a sweetheart! You two rock my socks off! <<33 you girls! My favorite: Allow yourself to write badly, so you can figure out how you write best. THX Elana (had lots of practice--ha)--but so true!! Love that advice! Write badly to learn to write well. :) Am so curious about this ending everyone keeps talking about, and am just plain excited for POSSESSION! Thanks for the interview Elana and Beth! Great interview, both of you! I am so excited for you Elana! Trifecta of awesome is so completely right! Terrific interview ladies! I love that the ending has always been that way. It is stunning! This was one of the best author interviews I've seen, Beth. Thank you! And Elana, you are awesome and wonderful--and I learned some new things about you which is awesome and wonderful too! Your bit of advice to writers is brilliant. Thank you! I loved, loved, LOVED Possession, and am so excited for its release. 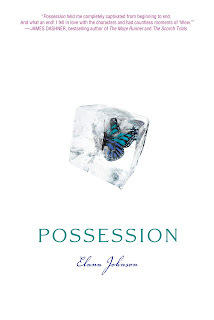 I agree that Elana is very good with voice; in fact, that is my favorite thing about Possession. Her characters all had minds of their own and seemed very real. Thanks for helping us get to know Elana better, Beth! Great interview. Okay, so now I'm really curious about the ending of the book. Yay for Elana! I can't wait to read POSSESSION. I've heard amazing things about it. Great interview, ladies. Wonderful interview. Glad I didn't miss it. I agree, Beth, Elana is very special. And Elana, I wonder if you realize what a wonderful impact your blog has on the blogging community. Bravo to you for all you do. And thanks, Beth! Thanks for a great interview. So happy for both of you, and your successes. This was an awesome interview and so wonderful to get a sense of where the book is coming from. Great questions. Hi, Beth. I'm just stopping by to wish you a Happy Memorial Day evening! This is a great post and interview, thanks for sharing.